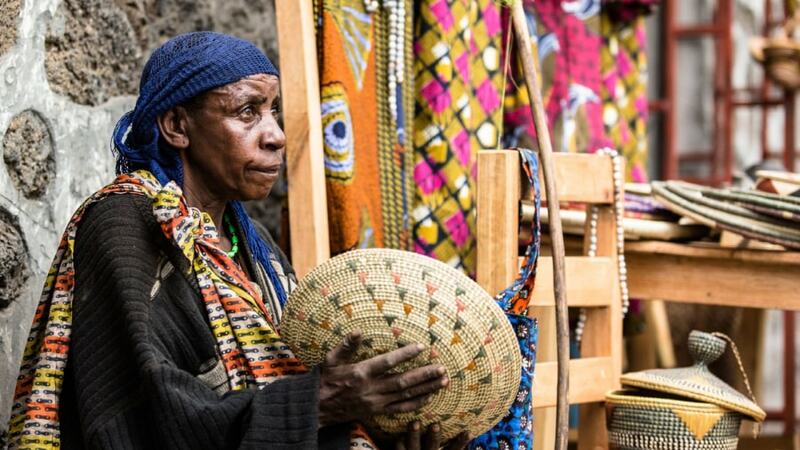 A wide range of handicrafts is sold countrywide and there’s great scope for browsing, especially in Kigali. The city’s biggest craft market is the Caplaki handicrafts co-operative, which comprises at least 30 wooden huts and stalls that collectively sell a huge variety of goods - from hand-carvings, weaved items, batik cloth, pottery and the like to semi-precious stones, musical instruments and various novelties. Other Kigali galleries and outlets worth checking out include the Inema Arts Centre, Ivuka Arts, Niyo Cultural Centre, Association des Artistes Rwanda (ASAR), Amahoro ava Hejuru and the Abien Arts Collective. Throughout the city, you’ll also find street vendors selling most kinds of small handicrafts. Other towns that have a good selection of handicraft outlets include Musanze, Rubavu and to a lesser extent Huye and Karongi.